Ratings Results of Interest: Last Sunday, Starz’s American Gods returned for its second season posting a series low 0.16 rating based on the same day viewing for the 18-49 demographic. Its second episode of its current season slipped even lower this past Sunday to a 0.11 rating with 348K total viewers. The show probably does better with digital viewing and it has already been renewed for a third season, but that will likely be its last to give it a chance to wrap up its story. Over on AMC, The Walking Dead slipped back down to a 1.7 rating with 4.6 million total viewers, but still easily won the night across the broadcast and cable channels. Over on CBS, God Friended Me improved to a 0.8 rating with 7.7 million total viewers after dropping to a season low last week. On Friday, MacGyver matched its season low with a 0.6 rating and 5.6 million total viewers after a couple of weeks off. And that one will get preempted again this week which will do nothing to help its ratings. On Thursday, Freeform’s Siren improved to a 0.18 rating with 508K total viewers and may be doing just well enough to keep its head above water. On Wednesday, Syfy’s The Magicians improved to a 0.19 rating with 534K total viewers as that one remains Syfy’s highest rated series. In the lead-out hour, Deadly Class improved slightly to a 0.14 rating with 386K total viewers which has it a barely passable levels. On Tuesday, The CW’s The Flash hit a series low 0.5 rating with 1.6 million total viewers as that one has been losing some momentum this season. Roswell New Mexico slipped to a 0.2 rating with 922K total viewers which may still be passable for the fifth place network. Over on the History Channel, Project Blue Book posted a 0.29 rating with 1.5 million total viewers for its season finale. That one has already been renewed for a second season. On Monday, FOX’s The Passage had its two-hour season finale pulling a 0.8 rating in the first hour then slipping to a 0.7 score in the second hour with 3.1 million total viewers over all. That, along with the impending Disney buyout, is enough to move it to Bubble status (more on that at this link). Over on The CW, Arrow slipped to a 0.3 rating with one million total viewers while Black Lightning remained at a 0.2 rating with 750K total viewers. And on Freeform, Shadowhunters improved by a tick to a 0.12 rating with 346K total viewers. News Roundup: Starz announced that its fantasy series American Gods, which just had it Season 2 debut, has been renewed for a third year. AMC has announced plans for a new Orphan Black series that will not necessarily be a direct sequel or spin-off but that will take place in the same universe. Netflix has multiple Anime series in the works including a new Ghost in the Shell entry, a spin-off from Altered Carbon, an adaptation of the SPRIGGAN manga, and more. You can read about those and more sci fi TV development at this link. Below are the status updates for all the currently airing shows or those still awaiting word on their fate. This does not include streaming shows, unless there is information worth mentioning, because there is typically too little data available to gauge their fates. You can click through to the show pages to see week-over-week ratings results (where available) and find out more information about the series. You can see the status of all the currently airing and returning sci fi TV shows at the Cancellation Watch Page. American Gods (Starz, Status – Renewed): Despite the ratings being down for this show from last year, Starz went ahead and renewed it for a third season (more on that at this link). Don’t be surprised if that gets announced as its final season at some point, though. Arrow (CW, Status – Renewed): As expected, this show has been renewed for an 8th season. It could be targeting wrapping up with next season’s Crisis on Infinite Earths cross-over event which I discuss in more detail at this link. Black Lightning (CW, Status – Renewed): Though it wasn’t a sure thing, this show has been renewed for third season. It could get folded into the Arrow-verse during next season’s Crisis on Infinite Earths cross-over event which I discuss in more detail at this link. Charmed (CW, Status – Renewed): The same day ratings for this show may not be great on highly competitive Sunday nights, but it is one of the most watched shows in digital viewing on the network’s website and app. Since The CW has better adapted to the 21st century than the other broadcast nets, it factors online viewing more heavily into its model and has given this one a second season renewal. Deadly Class (Syfy, Status – Renewal Possible): This show’s numbers have been on the low side the last few weeks, and it may be getting close to Bubble status. Fans may want to make a Call to Action on the social nets to bring it some more attention and give it a boost. The Flash (CW, Status – Renewed): As expected, this show has been renewed for an 6th season. There could be some changes coming with next season’s Crisis on Infinite Earths cross-over event which I discuss in more detail at this link. God Friended Me (CBS, Status – Renewed): As expected, this show has been renewed for a second season . Its numbers in the 18-49 demo are just passable, but it continues to rank in the Top 25 based on total viewers each week and it fits in well with the CBS brand. Gotham (FOX, Status – Final Season): The ratings have been on a downturn for this one the last few seasons, but FOX elected to bring it back for one more year to wrap up Batman’s origin story. Into the Badlands (AMC, Status – Cancelled): The good news is that this show will be returning to the schedule on March 24th. The bad news is that the remaining Season 3 episodes will be its last. After remaining silent on the status of the show since it wrapped up the first half of its third season last June, AMC has announced that it will not be returning for a fourth year. Legacies (CW, Status – Renewed): The same day rating for his one have not been great in its first season, but it is one of the most watched shows in digital viewing on the network’s website and app. Since The CW has adapted to the 21st century better than the other broadcast nets, it factors online viewing more heavily into its model and has renewed this show for a second season. Legends of Tomorrow (CW, Status – Renewed): As expected, this show has been renewed for an 5th season. It could be targeting wrapping up with next season’s Crisis on Infinite Earths cross-over event which I discuss in more detail at this link. MacGyver (CBS, Status – Renewal Likely): This show’s ratings are down from last year’s levels, but that likely will not matter. It is owned by CBS and it will have three full seasons after this year, so it is worth it to the network to keep it going at least one more season to get it to the episode threshold the syndication market prefers. Also, it plugs up and hour on low-viewership Fridays. The Magicians (Syfy, Status – Renewed): This show’s fourth season debut was down from last year’s numbers, but it is still the highest rated show on Syfy overall. It has already been renewed for a fifth season, so it is safe for at least one more year. The Orville (FOX, Status – Renewal Possible): The numbers for this show are down in its regular Thursday timeslot year-over-year, though it may be at passable levels. It continues to perform well in Live+7 delayed viewing like last year so I believe it has a decent chance of making it to a third season. But fans might want to take to the social networks with a Call to Action just to give it a boost. Project Blue Book (History, Status – Renewed): This show got off to a decent start for a cable series these days and has been able to hold on to its audience as its season has progressed. And as expected, the History Channel has renewed this one for a second season. Riverdale (CW, Status – Renewed): This show is only down slightly from last year’s numbers and it tends to get plenty of attention on the social networks. It also performs very well in its encore runs on Netflix and is on the verge of the syndication stretch. The CW has renewed it for a fourth season as expected and it could stick around beyond that. Roswell New Mexico (CW, Status – Renewal Possible): This one has started out with decent numbers for the fifth place network and I expect it will also perform well in digital viewing. It did not get included with the network’s renewal of its Fall shows, but it just joined the schedule and looks to be on target for a second season nod. Shadowhunters (Freeform, Status – Cancelled): This show has been cancelled by Freeform and is currently airing the second half to its third season which will also include two additional episodes that will act as its series finale. Siren (Freeform, Status – Renewal Possible): This show returned with decent debut numbers for its second season, but it has seen its ratings slip since then. I don’t count it as a Bubble show just yet, but it could benefit from a Call to Action from fans on the social networks to bring it some more attention. Supergirl (CW, Status – Renewed): As expected, this show has been renewed for an 5th season. There could be some changes coming with next season’s Crisis on Infinite Earths cross-over event which I discuss in more detail at this link. Supernatural (CW, Status – Renewed): As expected, this series has been renewed for a record-busting 15th series. Whether it continues beyond that will depend upon whether the principal actors will want to stick with the show. Star Wars Resistance (Disney, Status – Renewed): This show’s numbers are on the low side, but then animated series tend to live and die more by their merchandising than overnight ratings results. It has been renewed for a second season that will debut in Fall 2019. The Walking Dead (AMC, Status – Renewed): The post-Rick Grimes era has not led to an improvement in the ratings for this show, but TWD still continues to rank as the top scripted series on cable and also outperforms most broadcast network shows. Coming as no surprise, AMC has renewed this one for a tenth season. The Gifted (FOX, Status – Cancellation Likely): This is currently one of FOX’s lowest-rated shows and it is not seeing enough in delayed viewing gains like it did last year. The network does own the show and it is part of the X-Men franchise, so that works in its favor. But even series creator Matt Nix does not have much confidence in the show returning for another season on FOX. I have moved this one to Cancellation Likely status and it could definitely use a Call to Action from fans on the social networks. Humans (AMC, Status – On the Bubble): This show’s numbers were down in its third season, and AMC kicked it out of Prime Time to the 11 PM hour; never a good sign. Its fate is more closely tied to how it is performing in Britain on Channel 4, but its numbers are down over there as well according to Wikipedia. I have moved it to Bubble status and will keep it there until we hear final word on its fate. Manifest (NBC, Status – Renewal Possible): This show got off to a strong start based on same day viewing early in the Fall, but saw its numbers slip as the season progressed. But it has remained one of the most-watched broadcast network shows based on Live+7 delayed viewing. Rumor is that NBC has already renewed the show for a second season, but I am currently waiting for an official announcement. Mars (NGC, Status – Renewal Possible): This show’s same day viewing numbers were down notably in its second year, but it relies more heavily on its global viewership stats. I consider a third season possible, though Nat Geo may decide to wrap it up at that point. 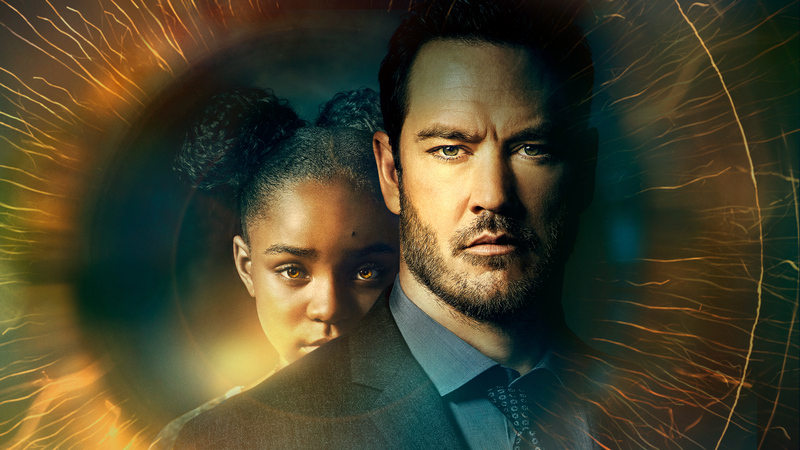 The Passage (FOX, Status – On the Bubble): This show got off to a good start with its premiere, but it wrapped up its first season with less than stellar numbers and I have moved it to Bubble status (more on that at this link). If fans want this one to return for a second season, a Call to Action on the social networks could definitely give it a boost. Origin (YouTube, Status – Renewal Possible): This show has flown under the radar since its debut in November, but it is receiving mostly positive buzz thus far. YouTube is in the early stages of ramping up its scripted programming for its premium service, so it will likely stick by its shows and give this one at least one more season to find an audience. You can see the list of all of this season’s renewals and cancellations at this link. Follow our Sci Fi TV News Briefs column for a rundown of the latest news and our Sci Fi TV Development column for updates on what is in development. Check out our Sci Fi TV Schedule for debut and season finale dates and follow our Weekly Listings for a rundown of the shows airing in the current week. Look back at the classics of sci fi and fantasy television with Classics Sci Fi TV.